CARLSBAD — School safety is arguably the biggest issue for districts throughout the country. 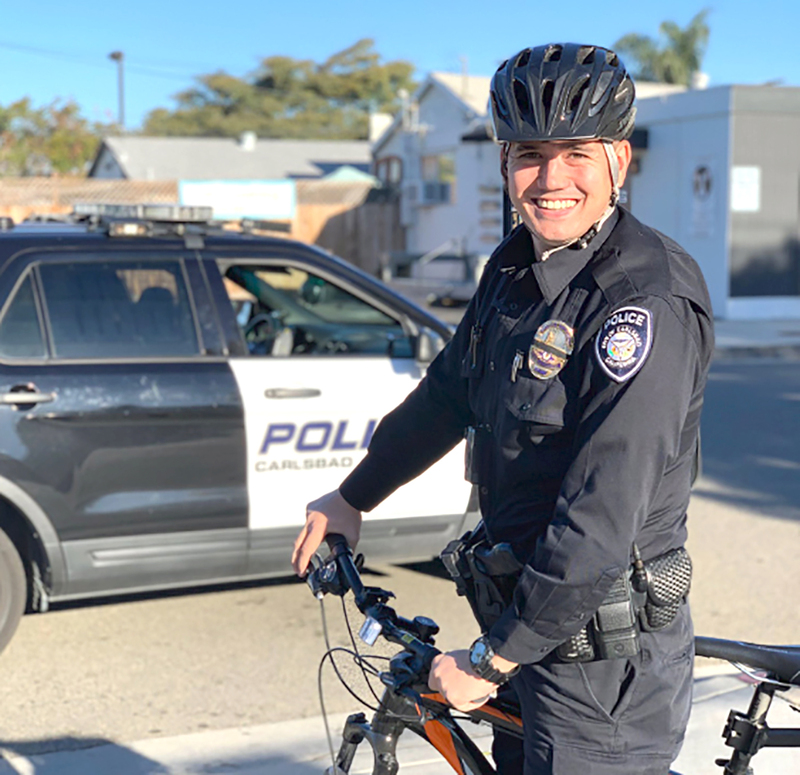 As such, the City Council approved a memorandum of understanding (MOU) with the Carlsbad Unified School District for a third school resource officer. The new school resource officer, a Carlsbad police officer, will be responsible for providing full-time security at the three middle schools (Aviara Oaks, Calavera Hills and Valley) for 10 months per year in the Carlsbad Unified School District. The district was awarded a $345,443 grant from the Department of Justice under the California Healthcare, Research and Prevention Tobacco Act of 2016, according to Carlsbad Police Department’s Jason Jackowski. The district will use the grant to reimburse the city for half the cost of one school resource officer for 10 months, along with providing education and equipment on tobaccos and vaping use and prevention. The officer started on Jan. 30. Additionally, the Carlsbad Police Department was also approved to acquire a police vehicle, training, equipment and ongoing costs as part of the City Council’s actions. According to the staff report, the total cost for Fiscal Year 2019 is $142,489 with Carlsbad Unified reimbursing the city $32,8181, with the city covering $109,671. While a primary focus is tobacco and vaping education, Jackowski said other responsibilities include truancy sweeps, Child Protective Services referrals, critical response training (of school staff), school safety plans and student and family counseling. Prior to Jan. 30, the police department had four school resource officers throughout the district with one officer each dedicated to Carlsbad and Sage Creek high schools and two floating between North County Academy, the district’s middle and elementary schools, while adding high school support when needed, according to Jackowski. At Carlsbad High School, the school resource officer is on duty for 12 months, while Sage Creek has 10 months of coverage. He said the year-round coverage for Carlsbad High is due to summer programs. “I’m thankful that the city of Carlsbad now supports a full-time officer at Carlsbad High School, a full-time officer at Sage Creek High School, and a full-time officer to support our three middle schools, in addition to two additional full-time officers to support the other schools in the city,” Churchill added. As for vaping, Jackowski reported to the City Council 29 percent of 11th-graders have used e-cigarettes or vapes and the possession of tobacco products is now legal for minors. Also, 2 percent of seventh-graders reported they have used those devices as well.